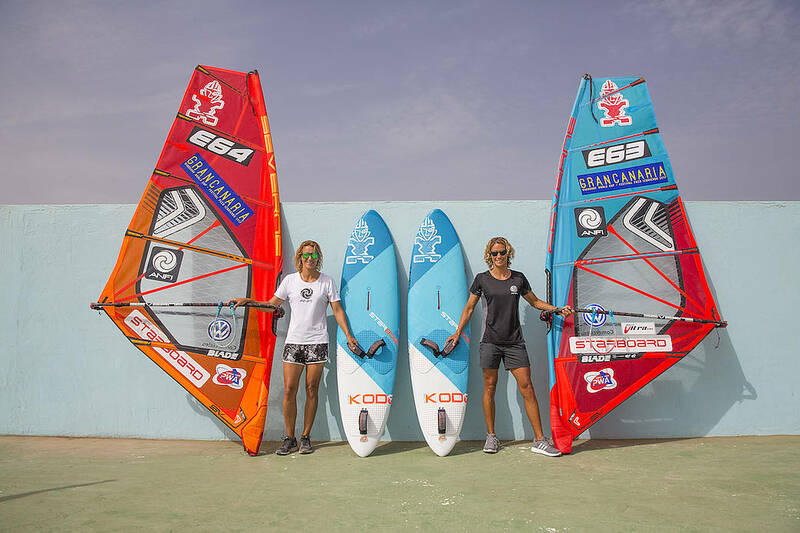 With the start of the 2018 Gran Canaria Wind & Waves Festival (GCWWF) now just 4 days away the Moreno twins, who have been organising the GCWWF since 2012, have made an exciting announcement before the start of the event. Yesterday an official press conference was held in Gran Canaria where the legendary Moreno twins were able to unveil that they have managed to raise enough funds to offer, for the first time in windsurfing history, equal prize money for the Men’s and Women’s fleets at this year’s GCWWF. After working so hard to achieve parity between the men and women we caught up with both Daida and Iballa to share their thoughts on reaching such a milestone for not only the GCWWF, but also for the whole of windsurfing as they aim to set a new benchmark. Daida Moreno (Starboard / Severne / Maui Ultra Fins): “It is a step forward in the barriers imposed by society. We always believed that women should have equal prize money, despite what many other men could think. We already have enough difficulties to be treated as equals, it is a simple detail that we hope will serve as an example for the whole world. Iballa Moreno (Starboard / Severne / Maui Ultra Fins): “Proud to announce to the world that this year we will have equal prize money between men and women in Gran Canaria Wind & Waves Festival. Hoping to be a reference around the world with something that should be normal in every single sport. In Pozo Izquierdo, gender equality tastes of salt, wind and waves, and aspires to serve as a motivation for more and more women to dare to break the barriers imposed by society and fight to succeed in the water, as well who try to do it on the ground. The 30th edition of PWA World Cups in Pozo Izquierdo, Gran Canaria, looks set to see an explosive start with trademark howling winds and waves currently predicted for the opening days of the event. Make sure you don’t miss any of the radical action by tuning into www.pwaworldtour.com between 15th-21st July.